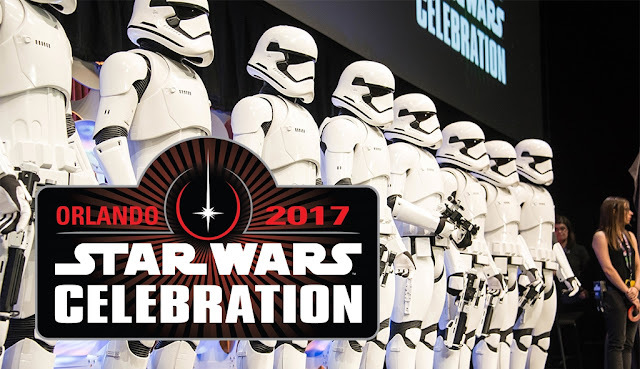 With so much going on this year it's easy to forget about the amazing Star Wars events happening next year, one of which is Star Wars Celebration Orlando 2017. Next April thousands of Star Wars fans from across the globe will converge on the Orange County Convention Center, and if you're among, them, there are multiple ways you can be more than just a simple attendee. Today, registration for media badges began on the official Star Wars Celebration site. So those who are part of websites, blog, podcasts and more can apply for enhanced access to the convention. You can apply for a media badge by clicking here. Or if you want to get even more involved with the inner workings of this Celebration, applications for crew member positions are now available. Those who sign on as crew members can do a number of jobs during the four day event, including room set-up, providing info to attendees, line management and more. You can apply to be a crew member by clicking here. Star Wars Celebration Orlando 2017 is happening April 13th - 16th!